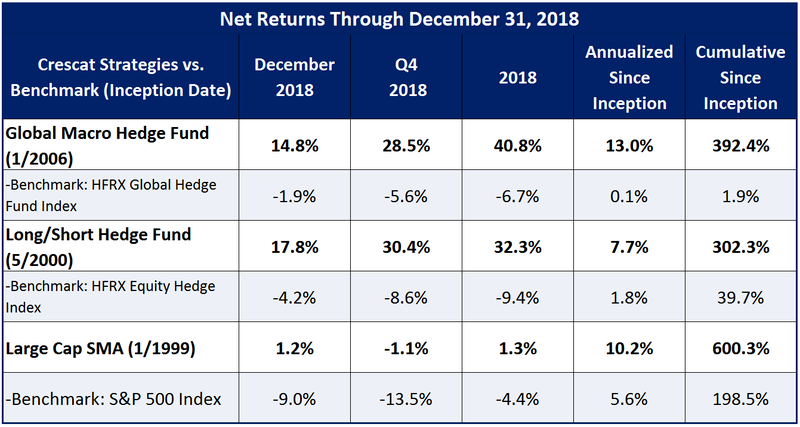 Crescat Global Macro Fund and Crescat Long/Short fund delivered strong returns for both December and full year 2018 in a difficult market. Based on Bloomberg reporting, Crescat had the number 1 and 2 performing US hedge funds in December and the number 1 and 3 performing US hedge funds for 2018. 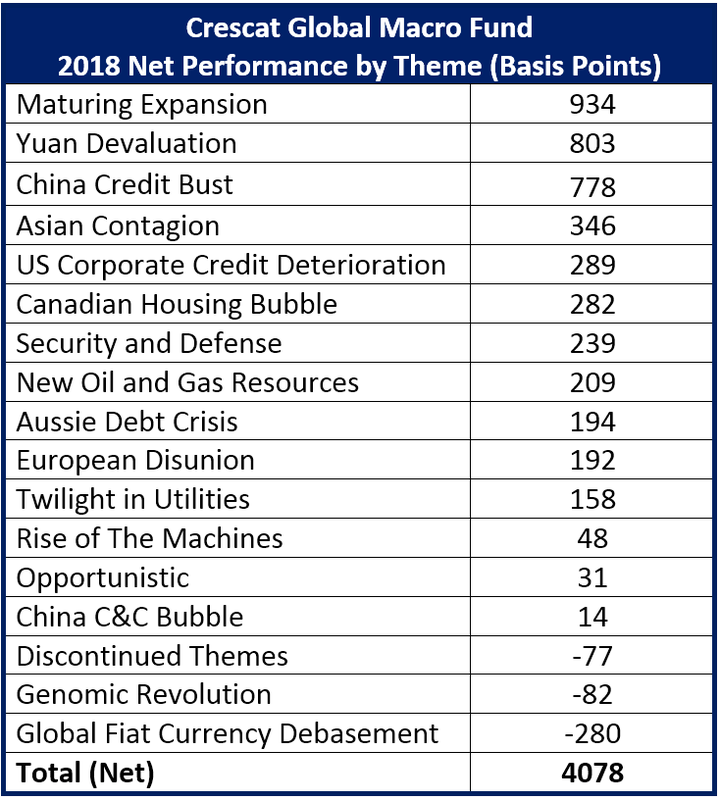 We see tremendous continued opportunity to capitalize on Crescat’s global macro themes and investment process in 2019. In our analysis, China remains the largest credit bubble the world has ever seen. We strongly believe it is now in the process of bursting and will lead to a major currency devaluation. At the same time, the US stock market has only just started to correct from truly historic valuations late in an extended business cycle. 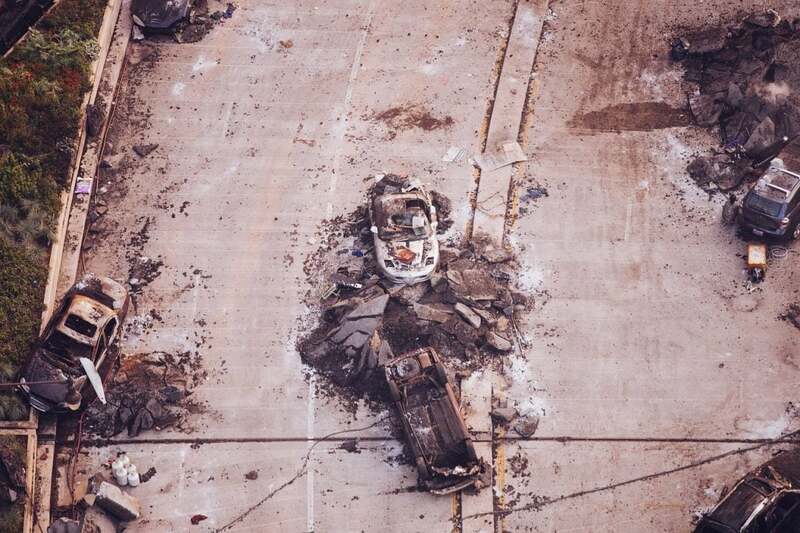 We remain committed to exploiting these themes that we believe have much further to play out to help our clients grow and protect capital in this challenging macro environment. We see the recent run-up in the US stock market as nothing more than a bear market rally as supported by our 16-factor US equity macro model. 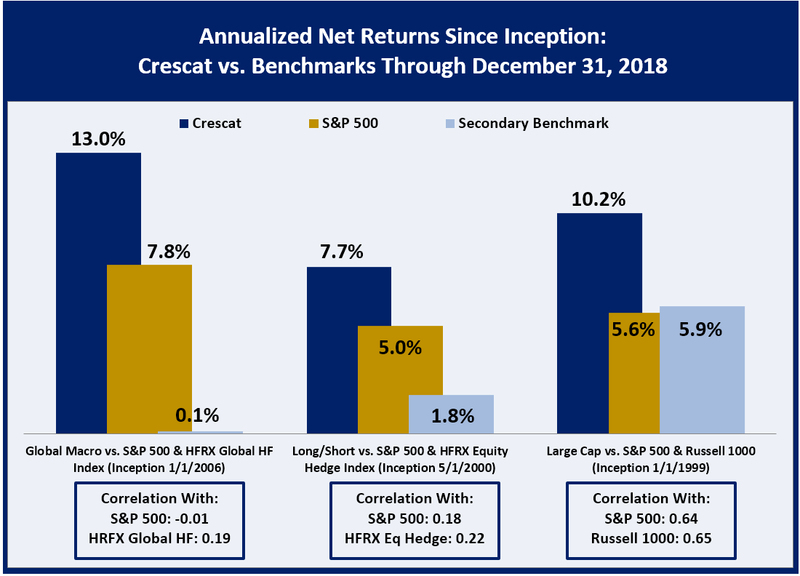 Given our equity net short position in our hedge funds, it could be an opportunity for new and existing clients to add to Crescat’s hedge funds at the end of the month on a pullback. We are confident that the US stock market will be turning back down soon, possibly before the end of the month. We invite you to visit our website for more information about our investment process, investment outlook, and how to become a client.